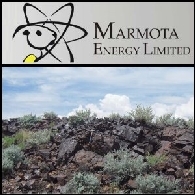 Marmota Energy Limited (ASX:MEU) is a mineral exploration and development specialist engaged in exploration for uranium, precious and base metals in South Australia. The Company is exploring in established mineral domains within South Australia, with particular focus on sedimentary uranium projects with ISR potential. Marmota is also continuing to further advance iron and copper discoveries made on other projects in South Australia. Marmota’s entire portfolio covers approximately 10,000 square kilometres of highly prospective mineral tenements in South Australia. Marmota has moved to expand its gold project interests by participating in a strategic partnership with high grade gold producer Ramelius Resources Limited (ASX:RMS) for gold project development in Nevada. Marmota is currently participating in two high grade potential gold projects in Nevada.